All turf deliveries require up to 7 working days to fulfill. Turf deliveries are only made on Tuesday – Saturday only. Our delivery driver will call you the day before your order is due to confirm delivery time. Please note: All turf will be delivered to the nature strip only. Everything you love about Sir Walter DNA Certified Buffalo lawn now conveniently portioned in .4m x .6m cuts. 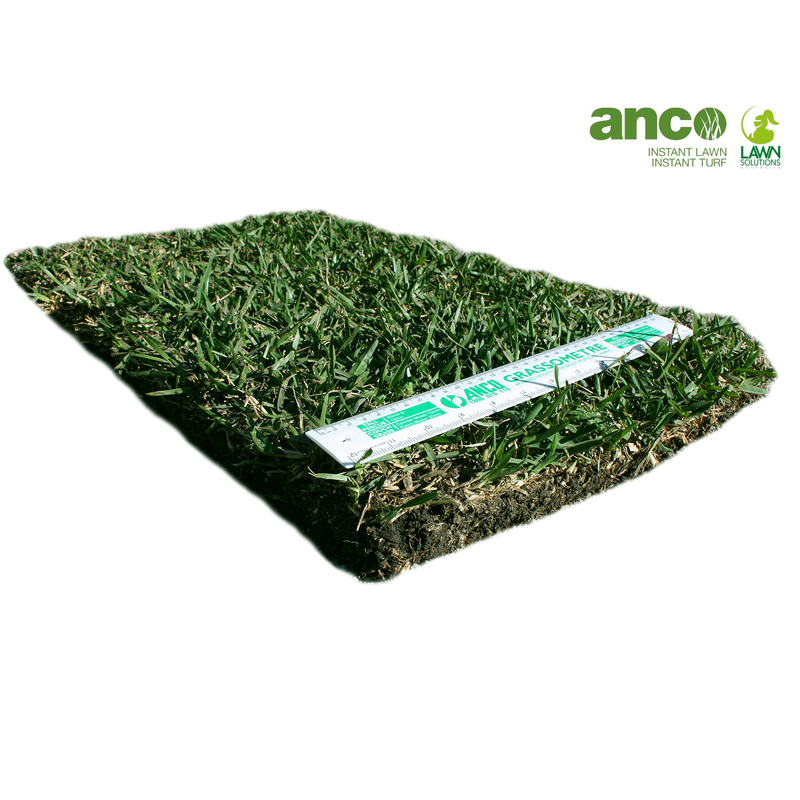 Exclusive to AncoTurf, Turf Tablets™ are lightweight and easy enough for anyone to lay and can be used to patch problematic areas or as a cost-effective new lawn solution. This premium DNA certified turf is versatile and hardy, drought, frost and shade tolerant and is the chosen turf by renowned landscapers Australia-wide. Evergreen and soft to the touch, there is no match for a Sir Walter DNA Certified lawn. From start to end, this is a great company to deal with. Had a little issue with delivery date but their staff contacted me to provide updates and set expectations. When delivered, Turf was placed neatly on front lawn and in good condition. Definitely will recommend to family and friends! Great turf, great helpful staff and looks after us landscapers ?? Fantastic provider. The products are fantastic. Staff provide fantastic service.